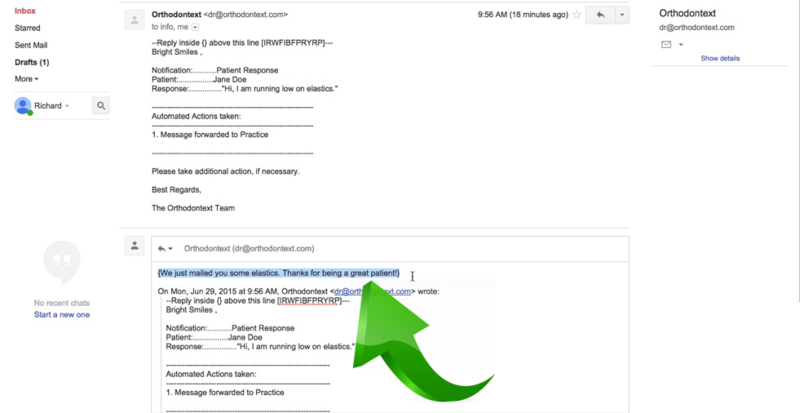 Orthodontext Two-Way Messaging is a powerful way to engage your patients by simply replying to Orthodontext practice notifications as shown below. Step 1: Verify that Two-Way Messaging is enabled by going to Admin>Settings. Step 2: Not all notifications will accept a reply. Only notifications that contain a line similar to the highlighted one below will accept a practice response. Step 3: Reply like any other email but wrap the message in curly brackets and keep the length under 140 characters as shown below. Orthodontext requires the message to be in curly brackets to confirm the exact message to be sent to the patients and exclude unintended phrases like "Sent from iPhone". 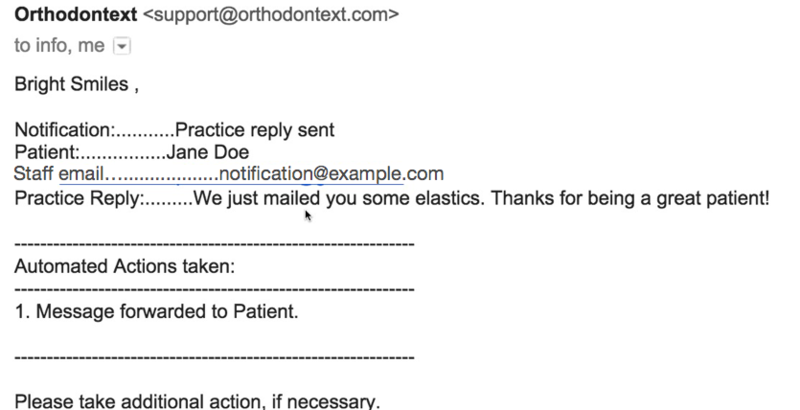 Step 5: Orthodontext will also send a Practice Response Receipt email, informing everyone on the notification email list, of the action already taken to avoid double effort when there is a team monitoring the notifications.